Dunkin’ Brands Inc. is an international donut, coffee, and ice cream retailer that sells these products under its Dunkin’ Donuts and Baskin-Robbins brands. 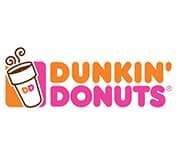 Dunkin’ Brands has about 18,000 distribution points in 60 countries, including more than 8,300 locations in the U.S. Dunkin’ Donuts was founded in Quincy, Massachusetts, in 1950 and is currently one of the largest coffee and baked goods chains in the world. Dunkin’ Brands pursues an asset-light business model, with more than 99.0% of its retail locations operating under franchise agreements. According to IBIS World, over the past five years, Dunkin’ Brands’ U.S.-specific sales grew at an annualized rate of 5.5% to $9.5 billion. A franchisee is directly responsible for all employment decisions, including hiring, promoting, discharging, and setting salaries and terms of employment. Dunkin’ Donuts organizes various compulsory and optional training programs for the franchisee, the restaurant managers, and other personnel. The various programs are conducted online, in the restaurant, or other premises. The franchisees and the relevant personnel are required to timely and successfully complete all mandatory training. Franchisees pay the costs incurred in receiving any training including the cost of any materials, salaries, and travel expenses. Joorney Business Plans has extensive experience in developing long-term employee plans and matching the specific employees’ knowledge, skills, experience, and training to their designated roles.